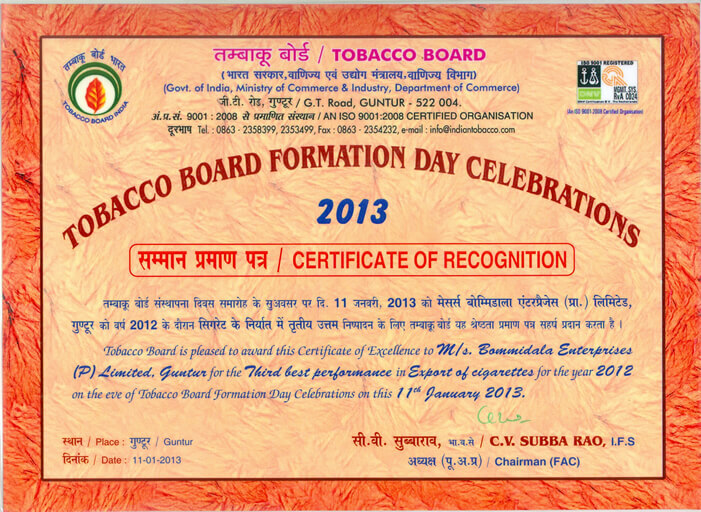 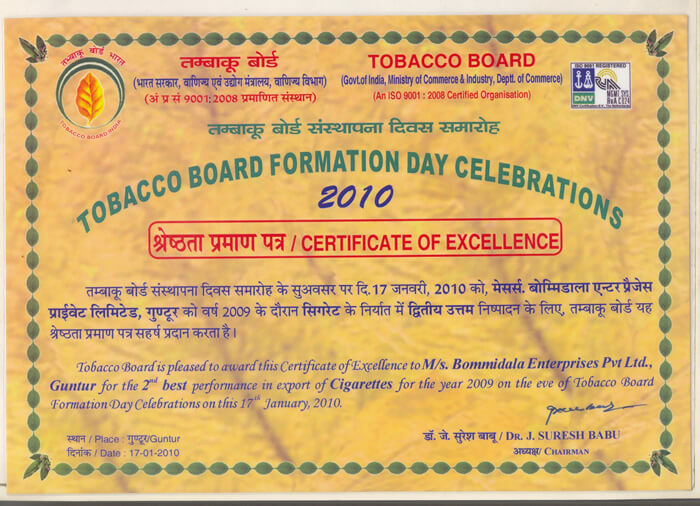 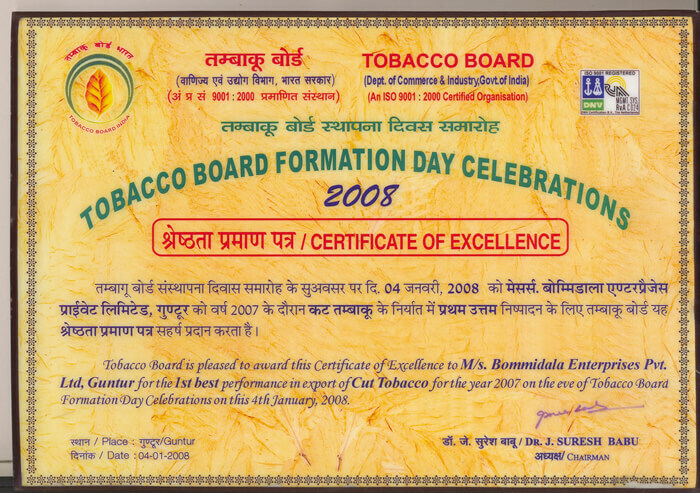 BBM Bommidala Group has, over the years, won numerous accolades for its performance in the tobacco industry. 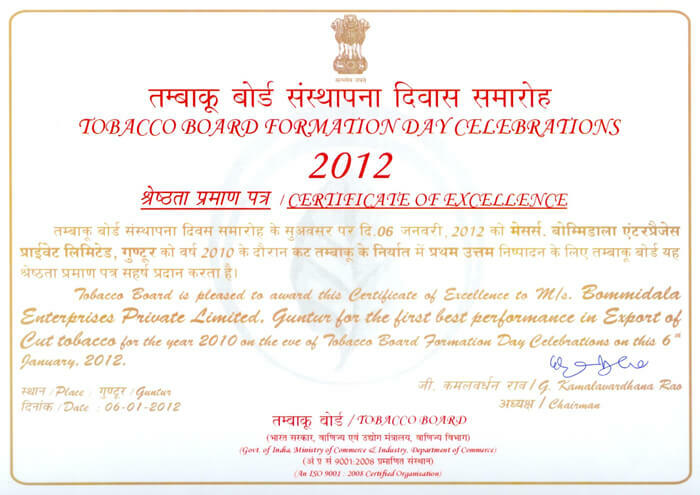 The Esteemed Two Star Export House Certificate as well as the Outstanding Performance Award as India's Best Exporter of Cut Tobacco and Cigarettes. 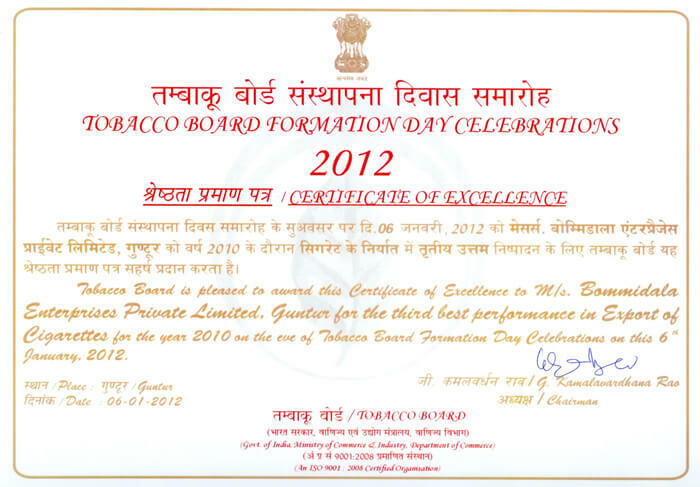 BBM has been conferred with the prestigious Two Star Export House Certificate.The Certificate recognizes an exporter for excelling in international trade and for successfully and consistently achieving outstanding performance. 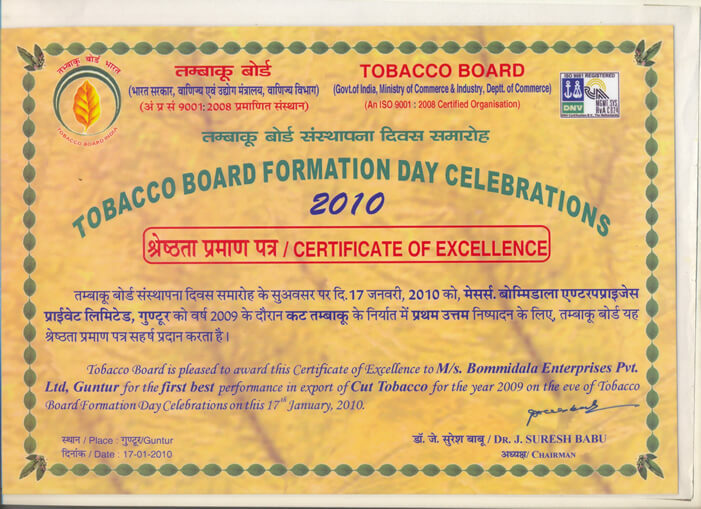 The businesses are entitled to preferential and priority conduct while handling consignments and are permitted to set up export warehouses as per the Department of Revenue guidelines. 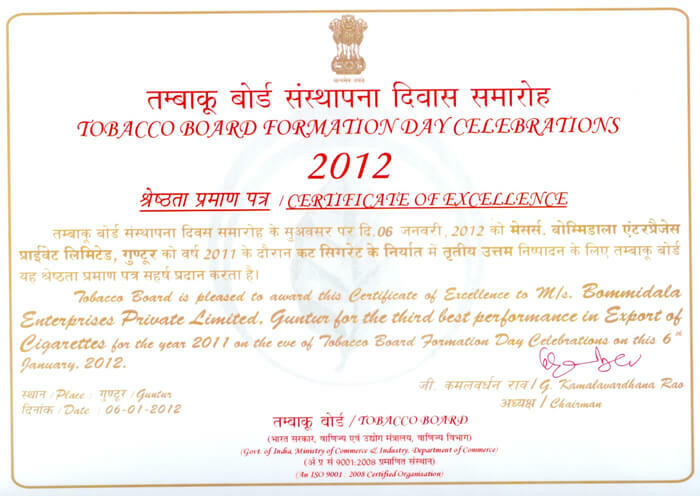 The Two Star Export House Certificate is valid for 5 years from 2015-2020 by the Ministry of Commerce & Industry Office of Joint Director General of Foreign Trade. 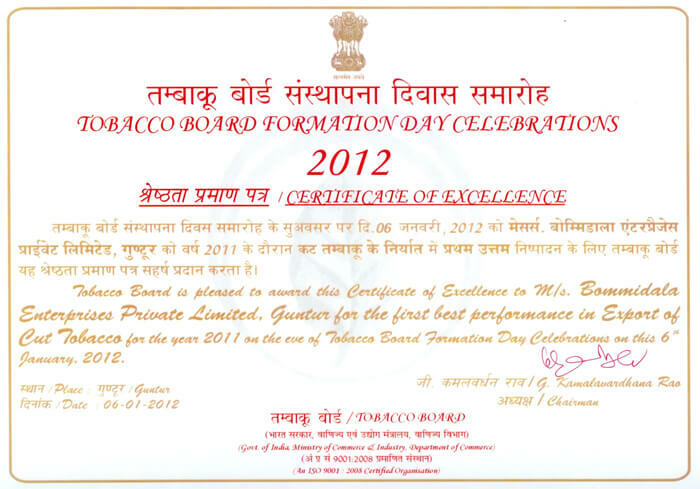 The Group has been receiving the Outstanding Performance Awards for India's Best Export of Cut Tobacco and Cigarettes, by the Tobacco Board, Ministry of Commerce, Govt. 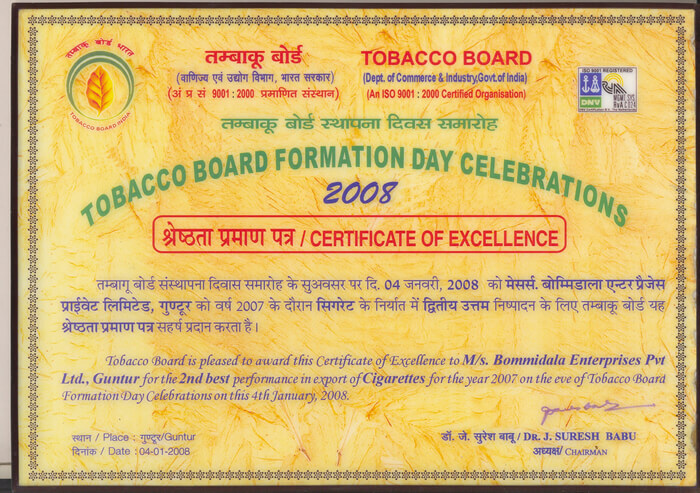 of India, since 2008 for seven consecutive years.